You’ll need to know when you should clean your puppy’s ears and what you should clean them with. Whether or not puppies need their ears cleaning and how often they should be cleaned will depend a great deal on what shape they are! Your dog’s ancient ancestors were wolves. Wolves have pointed ears, well designed by natural selection to do a great job of helping them to work in their environment. However, modern dogs, removed from the powerful forces of nature, have been bred with a wide variety of ear shapes, sizes and positions. As a result, some breeds ears require a lot more attention than our ancestors could ever have imagined. If your puppy is from a breed that has the traditional wolfish look, with pointed erect ears and clear open ear canals, you will probably rarely need to give them any extra care. However, if your puppy’s ears are covered with a soft flap, as many of our breeds are today, they are more likely to trap dirt and grim than upright ears. Drooping ears often come with pretty long coats attached. Long hair can look beautiful on dog’s ears. Curly coats and wooly manes can give a very characteristic and eye-catching look. But they also trap dirt and daily grime near to your dog’s ear canal. Sadly, some dogs are also afflicted with hairy ear canals! These tiny hairs can cause great discomfort in affected dogs, and often require veterinary treatment. Typical breeds that will need some extra attention paid to their ears are those with long drooping floppy ears. Such as Cocker Spaniels, English Springer Spaniels, and Bassett Hounds. But dogs with shorter ears that are covered by flaps may need cleaning too. 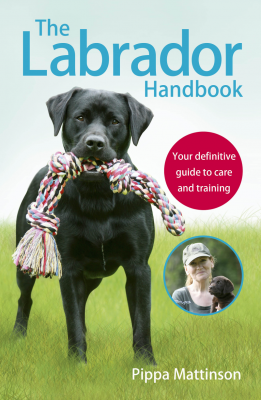 Breeds such as Labradors and other Retriever breeds, Pointers and Setters, and many of our Hounds, will benefit from regular ear checks, and may benefit from a gentle once weekly natural clean as described below. Check inside the flaps each time you groom your dog and at least once a week. We’ll explain what the ear should look like inside below. When you look inside your puppy’s ears, you are looking to check that they are healthy and free from problems. Any of these may indicate that your puppy has a problem, such as an infection. 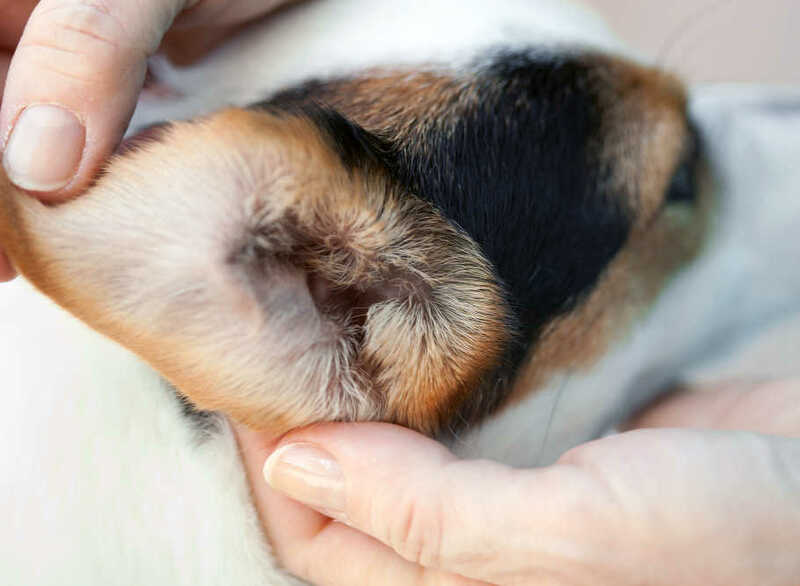 Healthy ears look pink not red or sore, and your puppy’s ears should not smell of anything. If you can see redness or detect an unpleasant smell, or if your puppy is shaking his head or poking at his ears, then take him to your vet. Don’t try and treat the problem yourself. If all you can see is a little grubby ear wax, then you can give your puppy’s ears a gentle clean at home. What should we clean a dog’s ears with? These are usually recommended for use in a heavily diluted form. 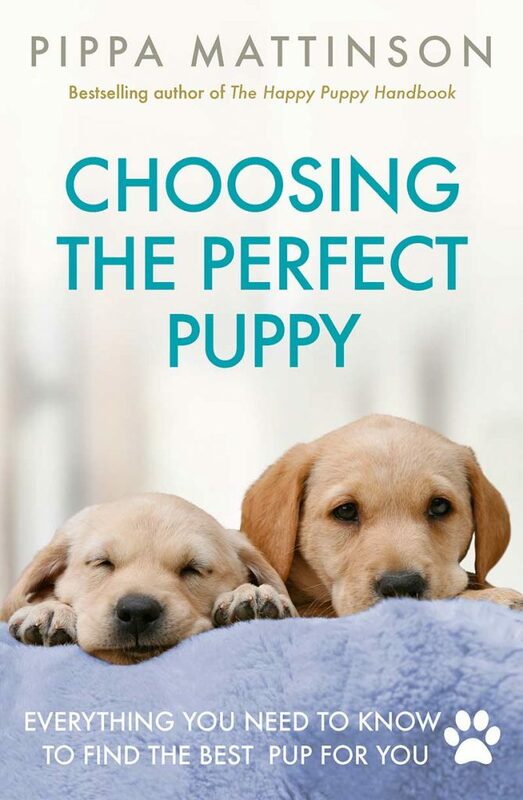 However, it is never a good idea to pour anything – diluted or not – into a small puppy’s ears. All these substances even when watered down may be very uncomfortable to your puppy if his ear is at all sore. They might also make matters worse if he has a problem. The best thing to use to clean your puppy’s ears at home is warm (previously boiled and cooled) water. 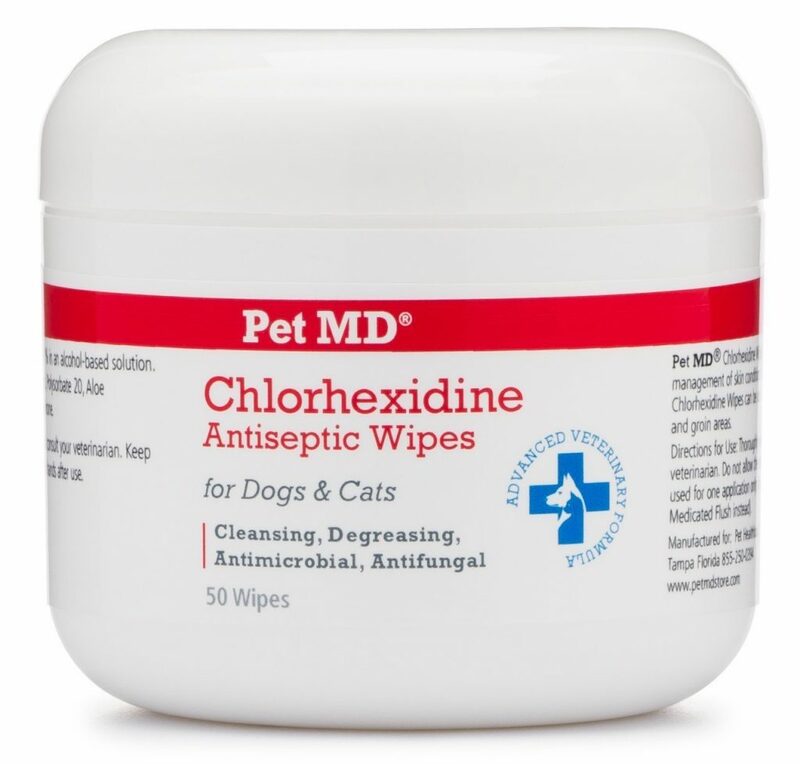 You can also use a cleaning solution specifically designed for puppies and approved by your vet. If you want to keep your puppy’s ears clean naturally, without any chemicals, then boiled water is your best bet. Water is also a great way to practice ear cleaning in long eared puppies. That way, if they get an ear problem later in life, they will be used to having their ears handled, and the whole ‘cleaning process’ won’t be upsetting for them. Use the instructions below to practice regular ear cleaning with warm water. But do talk to your vet if your puppy shows any suspicious symptoms, as sometimes nature needs a little help he may need something stronger to restore his ears to good health. To clean your puppy’s ears you will need some cotton wool pads, warm water or special ear cleaning solution. It will also help if you have some treats and a friend on hand to help! Remember – if you want to use ear cleaning solution, read the bottle carefully. Make sure it is designed for use on small puppies, and check how often it is recommended to be used. If in any doubt consult your vet first. 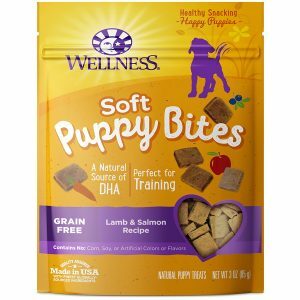 The more positive an experience you can make this for your puppy, the better. Have on hand lots of tiny treats, and if possible a helpful friend. Although you can clean a small puppy’s ears alone, it will be easier and more pleasant for you both if you have someone helping you out. Sitting on the floor, pop your puppy into your friend’s lap. 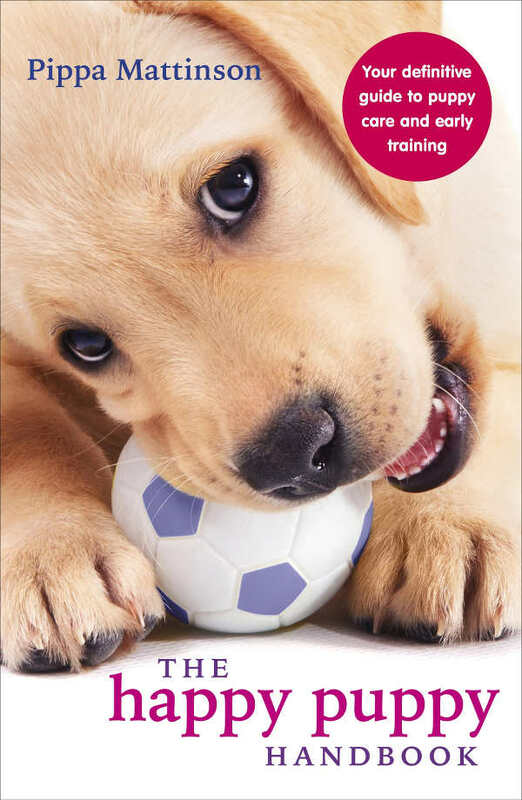 Ask your friend to very calmly stroke the puppy, encouraging him to stay in one place. 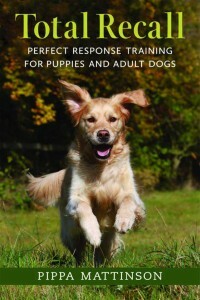 Get them to periodically with the other hand pass him treats. Remember, only give the puppy treats when he is staying fairly still. Not when he is wiggling around with excitement. 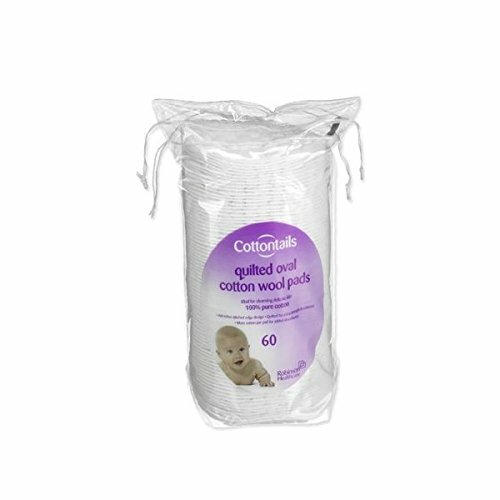 Take your cotton wool pad and dip it in the warm water. Make sure it is damp, but not soaking. Use one hand to lift the ear, and the other to gently wipe any dirt that you can see clinging to the outside of the ear. Very carefully wipe around the outside of the ear canal, and just around the opening. Be sure not to drip water or poke your cotton wool into the ear canal itself. If your vet has recommended cleaning inside your puppy’s ears with a specially designed cleaning solution you should follow the instructions carefully. This will usually involve holding the ear open with one hand and squirting the solution in with the other. You will then gently massage the ear from the outside. You’ll be able to hear it squelching when you have got the solution right into the ear canal. Remember, never poke anything into the ear canal itself, and if you are worried about your puppy’s ears, or if they smell or look dirty, take him along to the vet for a check up . 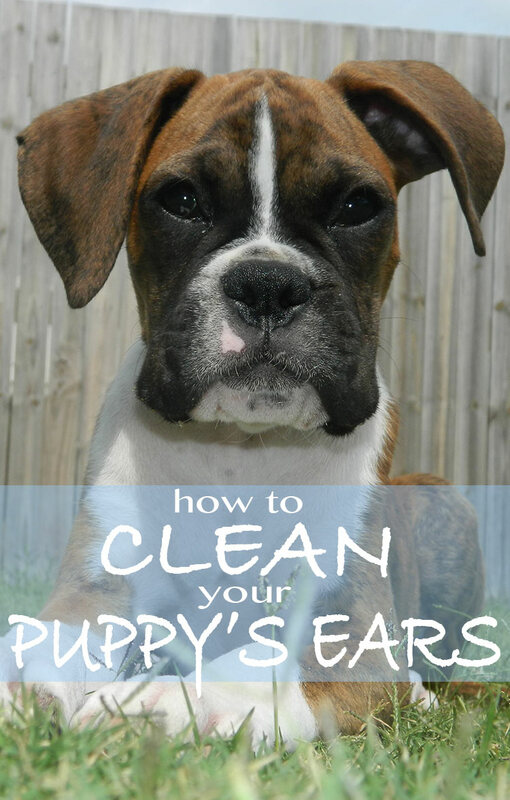 Most dogs are not upset by the process of having their ears cleaned, but it’s still an important one to get your puppy used to it from a young age. If you have a breed with long ears that is vulnerable to ear infections, even if he isn’t yet showing signs it’s a good idea to get him used to the process. That way when you have to do it later on, you won’t cause either one of you unnecessary distress. Malacetic Otic Cleanser has been a lifesaver for our two Labs. My husband had a country vet as a patient and mentioned our dog’s ear problems. He suggested the malacetic ultra. (we buy it on amazon) It is the product that finally cleared up the fungal infections and smelly ears. We spent so much money at our own vet and used other expensive prescription meds, and steroids, none of which seemed to work. Plus, the steroids had bad side effects. I am thankful someone told us about this cleanser/treatment. Very Helpful Thank You! Keeping as a future reference. So very SAD vet’s don’t do the right thing by our family member’s.